Jackie Gage is a musical storyteller; her music is emotional, joyous, heart-wrenching, and celebratory. Her debut album Siren Songs found praise from the likes of AFROPUNK, All About Jazz, and Singersroom alike, celebrating her youthful nod to the future of jazz. Originally from San Jose, California, she recently relocated to New York, where she has opened for the likes of The Brand New Heavies, Darlene Love, El Debarge, Eric Benét, and Tony Toni Toné. She honed her craft during a month-long residency at Minton's in Harlem, and also performs with East Coast band leaders Marc Cary, Winard Harper and Antoinette Montague. Though rooted in the jazz vein, she has also been heard performing with LA's electronic disco producer Captain Supernova, as well as rapper Lyrics Born. She can also be seen visiting California regularly, touring the state from Harlow's in Sacramento, down to The Mint and Blue Whale in Los Angeles. Additional past performances include BB King's in New York, Minton's in Harlem, DC's Howard Theatre, Philadelphia's South Kitchen, Catalina Jazz Club in Los Angeles, Fillmore Jazz Festival, and San Jose Jazz Summer Fest. Jackie was a 2014 Jazz Search West finalist. She is currently a resident artist at the cell in New York. More than this, there's an intimate and hushed feeling present in her live concerts. It's as if she's reading your heart, sharing personal memories of love and loss--at times vulnerable, and equally sweet. It's an uplifting show that's not to miss. 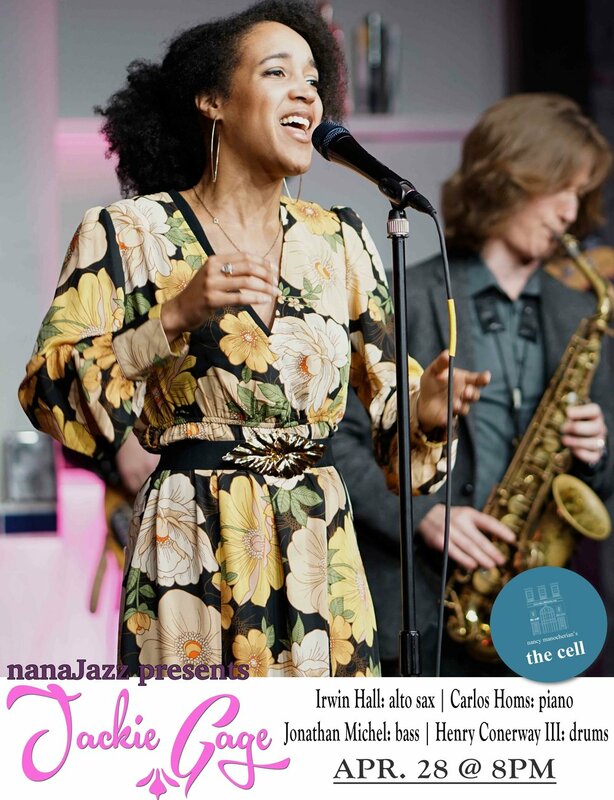 A recent Berklee graduate, who just moved to the city, Vanisha brings with her the richness of her familial upbringing. Inspired and educated by her older brother, pianist great-Victor Gould, She is steeped in the Ella Fitzgerald tradition of giving all to, and for, her audience. Blessed with a wonderfully soulful, jazz voice, she has a great recipe for success that's sure to delight.